Grease pumps are an important part of any restaurant. They’re used to remove solids and FOGs (fats, oils, and grease) from waste water before it’s discharged into municipal water system. If you own or operate a commercial property, you know that keeping your grease trap functioning properly is extremely important to your restaurant, and when you do encounter problems with your grease trap, you need prompt and professional repairs. 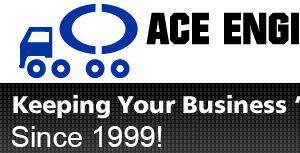 At Ace Engineering Inc., our Miami Drain Cleaning Contractors can provide you with any grease trap repairs that you might need. Problems can develop with your grease trap at any point in time, and it’s important that you’re able to recognize and solve these problems as quickly as possible. Grease traps are located after the drain but before the municipal sewer system. The water will enter the trap through a flow regulator/diverter which will prevent water from flooding your Miami property’s grease trap and mixing up the debris that the trap is attempting to separate. When water enters the trap, it will immediately begin to cool, which helps to harden the FOGs and force them to float to the surface since they are less dense than the water. Debris, on the other hand, will be forced the float the bottom of the trap. This will leave a middle layer of water which will be discharged from the trap. 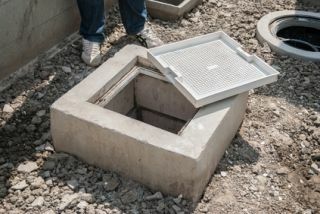 When the FOGs and/or debris build up in the crossover line between the two compartments of your Miami property’s grease trap, the crossover can become clogged. The liquid level in the first compartment will be too high while the level in the second compartment will be normal. It’s possible that the water is overflowing in the first compartment. Clogs in the incoming line will quickly manifest as a back up with your the lowest plumbing fixtures in your Miami restaurant. Backed up floor drains or sinks can suggest that the incoming line of the trap is clogged. If there is a clog in the outgoing line, the grease trap will overflow from both compartments. The clog may be in the line itself or in the city main. If grease isn’t removed from your trap in a timely fashion, the grease may spill over into the second compartment and cause some kind of clog. To see if the trap is full, open the lid and use a pole to gauge the depth of the grease cap. If it reaches the bottom, then the trap is full.